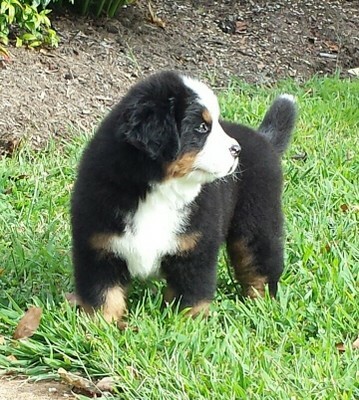 The Piedmont Bernese Mountain Dog Club breeder Information page is an opt-in member privilege created to assist potential puppy owners with making contact with PBMDC members who breed. PBMDC Breeder Information Page participants are PBMDC Members in good standing who agree to follow the Piedmont Bernese Mountain Dog club’s Code of Conduct. The PBMDC does not inspect, monitor or regulate the breeding or business practices of its PBMDC Breeder Information Page participants. Moreover, it does not become involved in resolving disputes between participants and their customers. Accordingly, the PBMDC does not endorse, guarantee, recommend or otherwise approve any particular breeder(s) or guarantee or accept any responsibility for the health, temperament or any other aspect of the dogs sold by the participants. All information produced by the PBMDC Breeder Information Page has been provided solely by the participants. The PBMDC strongly encourages all buyers to carefully document, in writing, all representations, promises, statements, warranties and guarantees made by sellers of Bernese Mountain Dogs. The seller should sign such documentation or provide a purchase contract that covers the same provisions. The seller should also proceed to fulfill his/her obligations throughout the life of the dog.